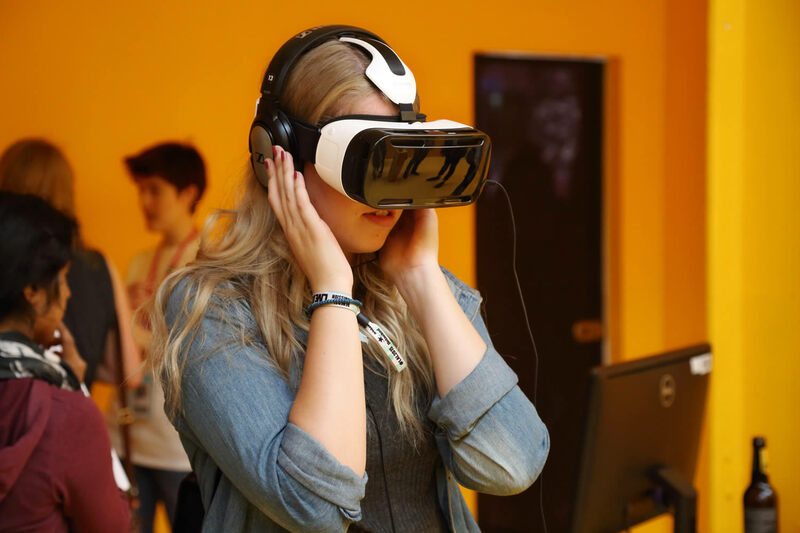 In June 2017, Virtual Umbrella assisted in the set up and running of Sheffield Doc/Fest’s programme of virtual reality experiences, interactive documentaries, inspiring talks and sessions, Alternate Realities. Described by curator and VR influencer, Dan Tucker, as ‘a magical, factual feast [of] thought provoking stories from around the world’, the programme was hosted across The Millennium Gallery and two pop-up locations (the Virtual Reality Portal; the Virtual Reality Campfire). 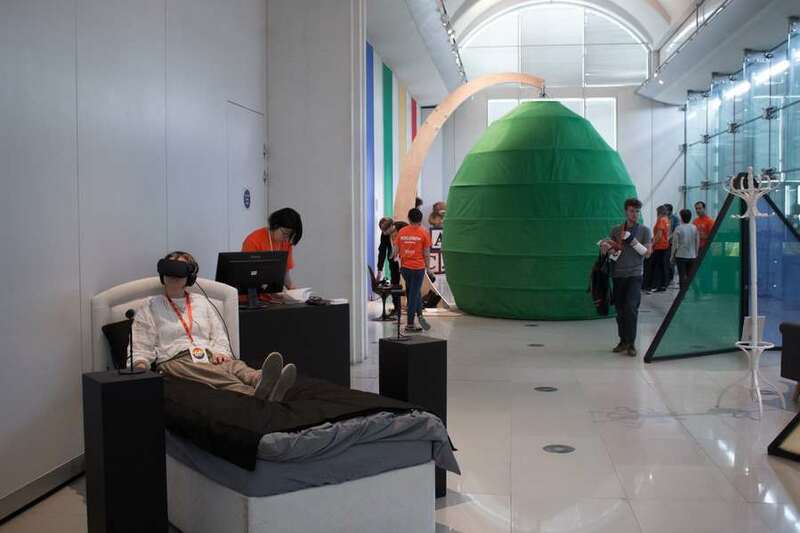 Visitors were invited to step into a range of immersive worlds, from the provocative Future Aleppo, to First Impressions‘ vision of life from the perspective of a baby. We are also very proud to have supported the Alternate Realities Latin American tour, Realidades Alternativas (produced by Sheffield Doc/Fest in collaboration with the British Council with the aim of ‘connecting audiences from across the globe to showcase factual storytelling through new technologies’). As part of this fantastic tour, our very own Bertie Millis presented a talk on ‘Making the most of immersive technology – Making money and offering the best experience’ at Noviembre Electronico in Brazil.